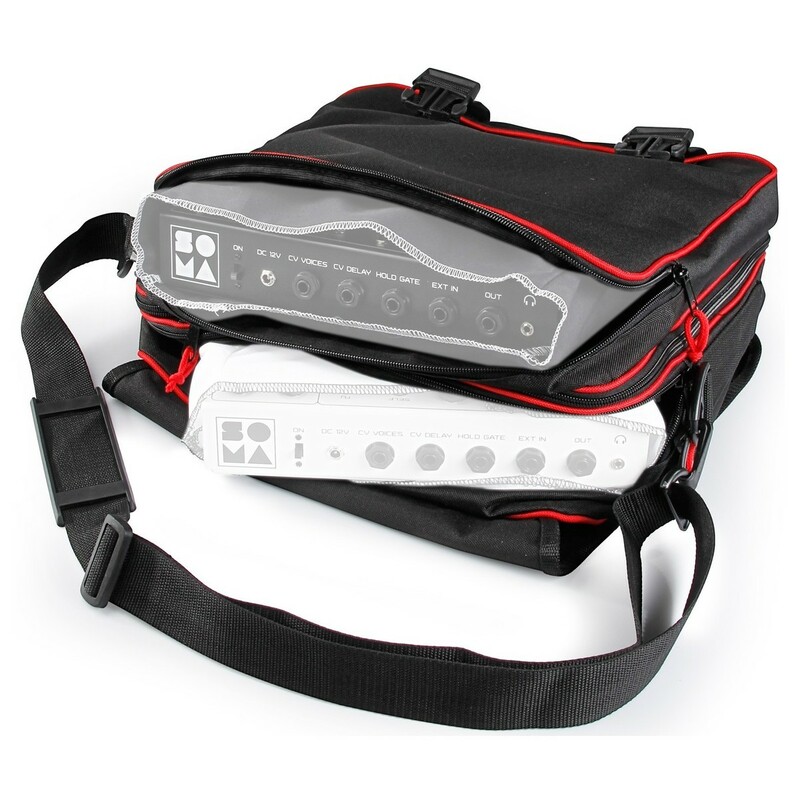 The SOMA Official Branded Bag is a durable bag designed for transporting the SOMA Lyra-8 Synthesizer. The SOMA Bag is the perfect solution for storing and transporting your synth from place to place. It helps to protect against superficial damage whilst on the move, protecting all your synths controls. It helps to protect against scratches and moisture and includes a separate compartment designed for accessories such as cables and power supplies. It also features an adjustable shoulder strap, so you can carry you instrument with ease. The bag is constructed from robust Cordura and features a 1cm piece of hard foam, designed to protect your synth whilst on the move. The foam interior serves to combat against superficial damage as you transport your synthesizer. It provides enough room to hold up to two Lyra-9 synths. The convenient design features enough room to store your synth as well as a front pouch for storing accessories and peripherals. 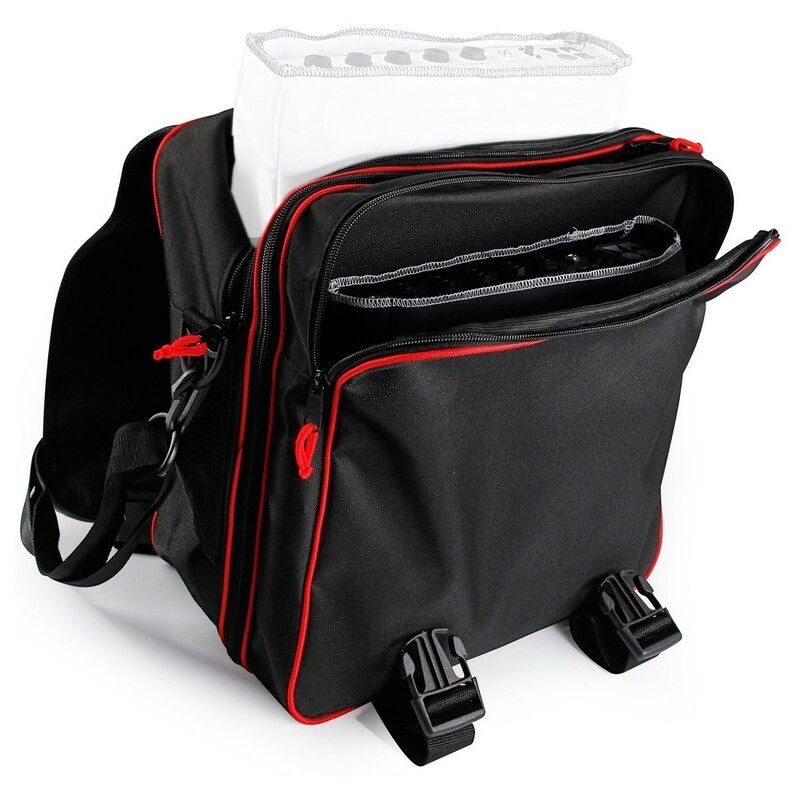 It features a built-in shoulder strap that can adjusted for maximum comfort. 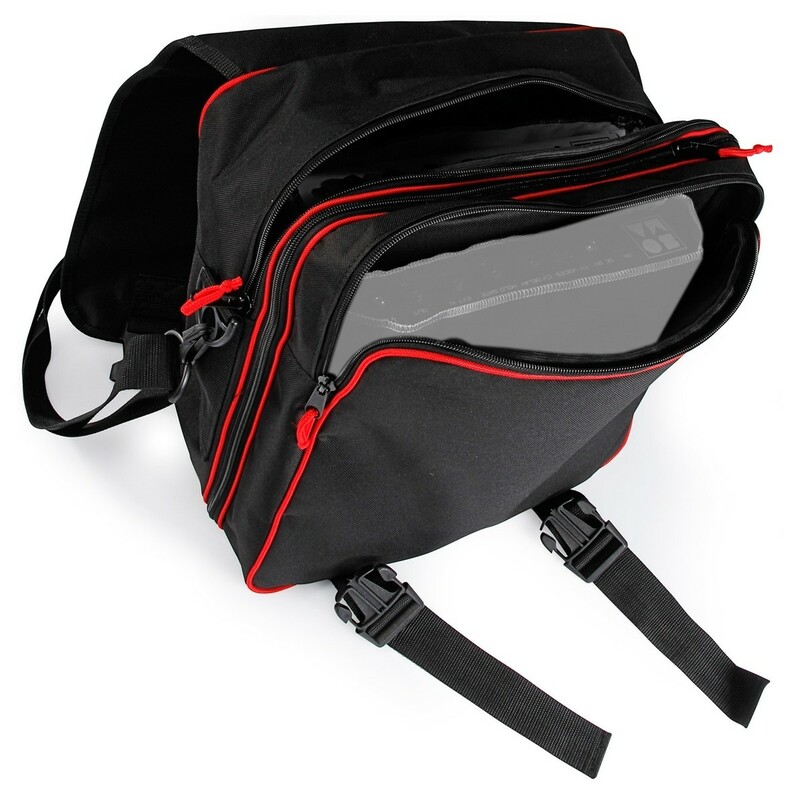 The black and red design features the SOMA logo on the front of the bag. Not only can the bag be used for storing the synth is can be used for a variety of equipment including controllers, compact synths, drum machines, sequencers and other similar sized equipment.